If you’re a fan of HGTV’s “Flip or Flop,” you’ll know that real estate agents Tarek and Christina love to install laminate flooring in most of the homes they renovate. That’s because it’s inexpensive and durable but elicits the high-end look that they know all homeowners want. On average, laminate floors cost between $2 and $4 per square foot, according to Houzz. These floors are most commonly manufactured to look like wood, but they can also imitate tile and even stone. 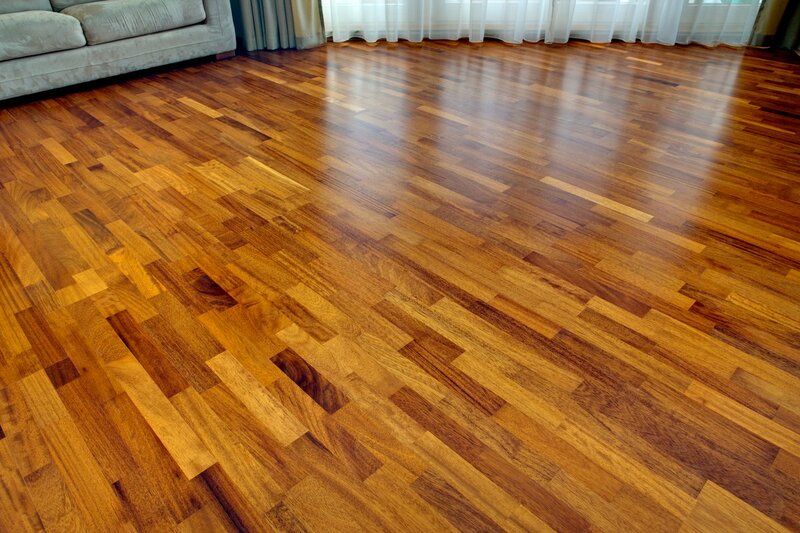 By comparison, hardwood flooring generally costs between $5 and $8 per square foot, Angie's List reports. This price gap really makes a difference when you consider the amount of square footage that wood floors typically cover. Nowadays, the first floor of many homes is entirely wood! 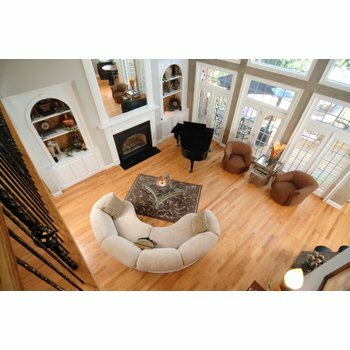 Investing in laminate instead of hardwood flooring is bound to save any homeowner money while still adding a look of luxury to the home. However, there’s another type of flooring investment that adds value and saves money, but is often out of mind because it’s out of sight: heated floors. In-floor heating might seem like a luxury that most homeowners can’t afford, but that’s not generally the case. Electric floor heating can cost as little as $9 per square foot, and it can reduce your heating bills if it’s used correctly. For instance, if you spend a lot of your time in the kitchen, you could close the vents and rely solely on radiant floor heating in that area in order to utilize your heat more efficiently. Radiant heat warms by direct touch instead of through the air, which means you’ll feel warmer even though the temperature in the room is actually cooler. This way, you won’t have to crank the heat throughout the house just to get it to feel warm enough in the kitchen. Just turn on the heated floors and you’ll be feeling warm in no time. The cost to operate the floors may also surprise you. You can heat the floors of an average-size kitchen for eight hours a day and spend only $0.20 cents a day or $6 a month, according to WarmlyYours Radiant Heating’s Operating Cost Calculator. 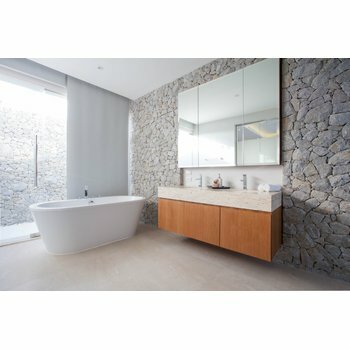 Plus, electric floor heating can be installed under laminate. That’s a little-known fact because many homeowners assume that radiant heating would damage the laminate. On the contrary, Environ™ electric heating rolls were specifically designed to heat laminate, floating wood and even carpet. They feature a non-adhesive foil casing that evenly distributes heat at 12 watts per square foot. So if you want to save money but you want it to look like you went all out, laminate flooring with in-floor heating may be the solution for you. To see how much an Environ™ Flex Roll would cost for your space, get an instant quote at www.warmlyyours.com. 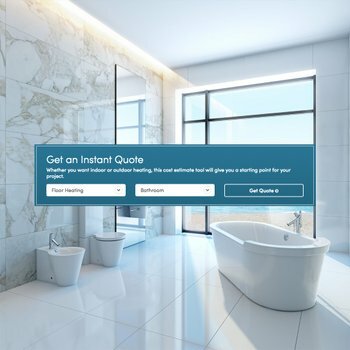 While you’re there, you’ll also want to check out the company’s new Operating Cost Calculator so that you can estimate the daily and monthly costs to operate your system. You can also check out the Heat Loss Calculator, which will tell you if floor heating could be a primary heat source for your home. Renovating on a budget couldn’t be easier!